E-cigarettes brand, blu eCigs, has today launched its first multi million pound UK ad campaign. Kicking off with a new TV advertisement to celebrate the launch of blu eCigs in shops across the UK, the 40-second advert is entitled blu Freedom and will debut to television audiences on 9 June 2014. Showcasing the freedom blu e-cigarettes offer to smokers, the advert is designed to inspire adult smokers to grasp the freedom that’s out there waiting for them. Alongside the advertisement, blu eCigs is taking some of the top electronic music acts in the UK on a nationwide tour that will call at cities including Edinburgh, Manchester, Brighton, and Bristol. From the end of June, smokers looking to switch to e-cigarettes will find that blu eCigs has taken centre stage in the UK market with availability in Co-op, Asda, WHSmith Travel and other retail outlets across the nation, the company claims. 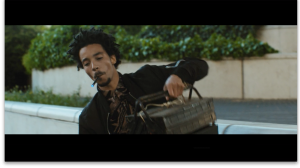 The TV commercial, produced by the creative agency Brothers and Sisters and directed by Skinny, follows a group of friends living life to the full as they transform a derelict city space into a stylish venue before throwing a party. The energetic and free-spirited group runs around the city collecting speakers and equipment for the party, to the sounds of the musical force Two Fingers, (signed to Ninja Tune). Living unhindered by the restraints of traditional cigarettes, the friends are spontaneous, decisive and carefree. Aimed at smokers over the age of 25, the 40-second TVC will run after 10pm everyday across a variety of satellite channels with the full version available on YouTube. Set to run continuously until December, the advert will be seen by approximately 50% of 25-44 year old smokers in the UK each month– reaching overall close to 90% by the end of the year. The campaign will also run across digital and electronic outdoor media.